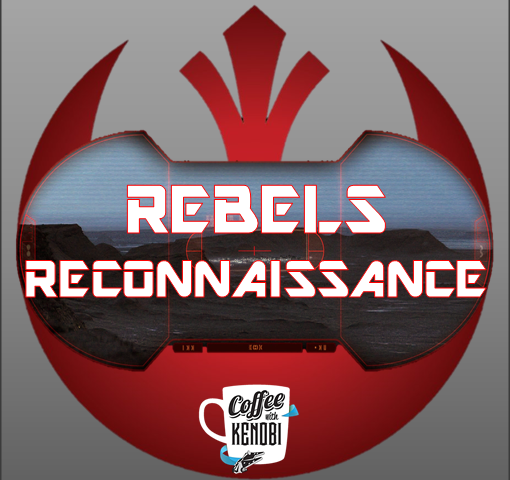 Like a finely crafted wine, Star Wars Rebels continues to layer on the intrigue and work in character development, all the while building its own narrative in the context of the greater Star Wars saga. With the latest episode, “Breaking Ranks,” Rebels provides us with a fascinating look at the inner workings of an Imperial Academy on Lothal overseen by Commandant Cumberlayne Aresko and Taskmaster Myles Grint (two characters we first met in “Spark of Rebellion”). Unfortunately for these two officers, the Imperial Academy under their supervision has been infiltrated by Ezra Bridger, Jedi-in-training and the Spectre-6 operative of the Ghost. On a mission to steal a decoder from Agent Kallus’ office at the Imperial Academy, Ezra has taken on the alias “Dev Morgan,” successfully integrated himself into the training program, and due to his Force-abilities, has excelled to the point that his superiors have taken special notice of his performance. Along with another recruit named Jai Kell, Ezra is at the top of his class and everything seems to be going according to plan. But as we’ve seen countless times in the Star Wars universe, that’s when the wheels tend to come off. In Kanan’s experience, the wheels coming off is always a likely scenario and he expresses his misgivings about the mission (and its inherent danger to Ezra) to Hera. The Twi’lek pilot is pleased to hear how much Kanan has become attached to boy, but she also quickly reassures him that Ezra is up to the task and that the two of them have their own part of the operation to complete. It turns out that the decoder Ezra is tasked with stealing is the key to stopping a Kyber crystal shipment, and that once the location of this Imperial convoy is revealed, Kanan and Hera will attempt to intercept said convoy and disrupt the transport of the crystal by any means necessary. “Breaking Ranks” continues the Rebels practice of callbacks to earlier Star Wars media with a couple of fun references to episodes of The Clone Wars, one of which is the inclusion of a Kyber crystal. With a long history in Star Wars lore dating back to early drafts of the original Star Wars, the Kyber crystal has enjoyed a bit of resurgence in popularity lately due to its appearance in both the “Younglings” arc of season 5 of The Clone Wars and the recently released Clone Wars story reels entitled “Crystal Crisis.” And just as the latter instance concluded with Anakin Skywalker and Obi-Wan Kenobi destroying an enormous Kyber crystal to keep it from falling into the wrong hands (and possibly used in a certain planet-destroying super-weapon), Kanan and Hera plan to take a similar tack in their raid on the Imperials. But the Imperials are not the only ones whose attention Ezra has garnered. Rather, another fellow recruit by the name of Zare Leonis has also taken note of Ezra’s abilities and confronts him just as Ezra is about to make off with the decoder he so desperately needs. But Leonis is not the Imperial loyalist he first appears to be either; he enrolled in the Academy as a means of locating his missing sister, a past Academy recruit who disappeared under mysterious circumstances. In any case, Ezra finds in Zare Leonis an accomplice for his mission and while the latter distracts Agent Kallus, the former takes a path through the ventilation ducts (a frequent Jedi destination as Ezra is discovering) to access the ISB agent’s office through the ceiling and uses the Force to procure the decoder card. Ezra’s vantage point also allows him to overhear Commandant Aresko’s plans to turn him and Kell over to the Inquistor, and while the boy successfully accomplishes his mission to sneak the decoder out to a disguised Chopper, he also makes the selfless choice he wouldn’t have made up until very recently–he will stay at the Academy until he can get his friends out as well. With the decoder secured, Kanan and Hera can finally engage in their part of the mission and quickly intercept the Imperial convoy transporting the Kyber crystal, and after a brief but exhilarating skirmish with Hera in the Ghost and Kanan using its drop ship the Phantom as a decoy, the two rebels destroy the cargo. Hera is at her best in the cockpit of the Ghost, and she’s never been more impressive as she engages three Imperial starships and a host of TIE fighters in order to get an opportunity to blast the Kyber crystal into oblivion. She succeeds in epic fashion and the Phantom docks back with its mother ship just before the Ghost makes the jump into hyperspace and as the immense Kyber crystal explodes. Meanwhile back at the Imperial Academy, Ezra, Jai Kell, and Zare Leonis have devised a plan to escape. Having been informed by their trainers that the winners of the next test will have an opportunity to train aboard the AT-DP (All-Terrain Defense Pod) walker, the three cadets scheme to ensure that they are they ones afforded that opportunity. Unfortunately, all does not go all as planned (this is Star Wars after all) and Ezra fails to secure one of the top three spots due to unselfishly helping his co-conspirators. Nevertheless, Kell and Leonis pick up the slack and succeed in commandeering the AT-DP without Ezra’s help just as Zeb, Sabine, and Chopper arrive to extract the cadets. With an explosive diversion by Chopper and a rogue AT-DP on the loose, the time has come for the cadets to leave the Academy behind, and while Kell leaves with the others, Zare Leonis makes another choice–a braver choice. He will stay behind to continue to pursue the truth about his sister as he feels that is his only path to doing so. Taking up a blaster against the rebels, Leonis effectively sells the image of an Imperial loyalist and obscures his true allegiances from his commanding officers. For better or worse, this charade also catches the eye of the Inquisitor who, after reprimanding Commandant Aresko for allowing the traitorous cadets to operate within the Academy, takes Leonis aside to interrogate the boy and discover what he knows about Ezra and Jai Kell. Choice is a prevalent theme of “Breaking Ranks,” and Kanan brings up the question of Ezra’s feelings about his decision to join the crew of the Ghost as the episode draws to a close. Having grown as a person into someone who is no longer only concerned with his own well-being, Ezra expresses joy at being back among his friends. The boy knows that he is back where he belongs, and as Kanan conveys his growing respect for Ezra, it’s obvious that his Master agrees. Finally, we are presented with the dilemma of Jai Kell and his mother finding their own place while on the run from the Empire. Hera promises that she and her comrades will do whatever they can to aid them, and as the Rebel network continues to grow, evolve, and now includes a possible informant within the Imperial Academy on Lothal, there is new renewed hope that they just might succeed. First off, easily the greatest thing about this scene is the return of James Earl Jones as the voice of Darth Vader. As for the scene itself, we finally get a bit of clarification about the working relationship between Vader and the Inquisitor vis-à-vis the elimination of Jedi who survived Order 66. Since 1977, we have heard Obi-Wan Kenobi’s speech to Luke in A New Hope that Vader had “helped the Emperor hunt down and destroy the Jedi Knights,” but with the introduction of the Inquisitor in Star Wars Rebels, the role of the Dark Lord of the Sith in the Jedi Purge became a bit muddled. But with this addition to “Spark of Rebellion,” we learn that while the Inquisitor has been instrumental in wiping out the remaining Jedi Knights, the Pau’an absolutely takes his marching orders from Vader. We also learn that the Emperor has forseen a new threat to him rising in the form of so-called “Children of the Force” and that the Inquisitor’s new task is to hunt down these nascent Force-users and either recruit them or eliminate them. It is absolutely fitting then that “Breaking Ranks” addresses this mission so soon after the ABC broadcast of “Spark of Rebellion” as it allows for a whole new perspective on the Inquisitor’s interest in Ezra Bridger and Jai Kell. • From Filicide to Fratricide: Is Palpatine making the same mistake as Muslim Empires of old, killing their best future leaders in an effort to remove a challenge to the current leader’s rule? • Is the Empire following a form of conscription used by Soviet-era Russia? • Was their a shout out to Dexter fans? Great recap of the episode, Craig! 🙂 I don’t read your reviews/recaps until after I’ve seen each episode, and in a way, it’s like rewatching each one. 🙂 Yes, I’m already a bit familiar with the installment, but had I not seen it, reading your recap is a great way to experience each episode. Thank you!